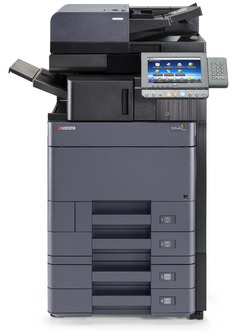 The combination of outstanding colour quality at high speeds and highcapacity document processing makes the new TASKalfa 6052ci a very impressive multifunctional colour device. Supported by advanced technology, productivity is further enhanced with flexible paper-handling options and fast, economical and reliable printing. And when it comes to optimising workflows, this colour multifunctional, with its range of digital functions and optional Fiery controller, puts the power firmly in your hands.